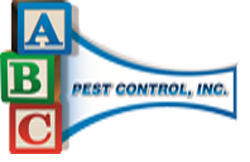 Residential Pest Control | ABC Pest Control Inc.
For over thirty years, ABC Pest Control has been serving Central Florida and the Tampa Bay area. Many of our current customers once were do-it-yourselfers. They were trying to take care of their pest issues by purchasing products recommended by a friend, neighbor, or even using products that were not labeled for pest control, but happened to be within arm’s reach. Most of these products either did not work or were not the right product needed to end the problem. Usually, within a few days, the pests are back! The problem then spreads to other areas of the home. If you have a pest problem in your home or landscape, then you need to call the professionals at ABC Pest Control! ABC’s staff is highly trained in properly identifying pests, and making the proper treatment to rid your home of insects. We can even treat for the diseases they carry. Keep your home safe for your children and pets. 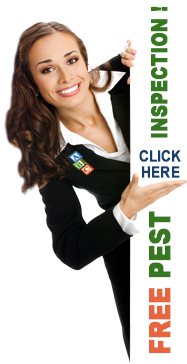 Call ABC Pest Control today for a free quote to find out just how affordable ABC’s professional services are! Residential pest control is for Bed Bugs, Bee and Wasp Control, Ant control, German Roach Control, Carpenter Ants, Invasive Grass, Lawn Pest Control, Fertilization, Disease Control, Moisture Management, Ornamental Services, Rodent Control, Termite Control, Citrus Tree Care, Tree Injections, Weed Control, Mosquito control, and Other Services. We also specialize in Mobile home services where we are able to treat for all the services above, and the underside of your home to ensure efficiency.